Think flooding can't affect you? Think again. More than 20 percent of flood-related insurance claims nationwide come from properties outside high-risk flood zones, according to the Federal Emergency Management Agency. 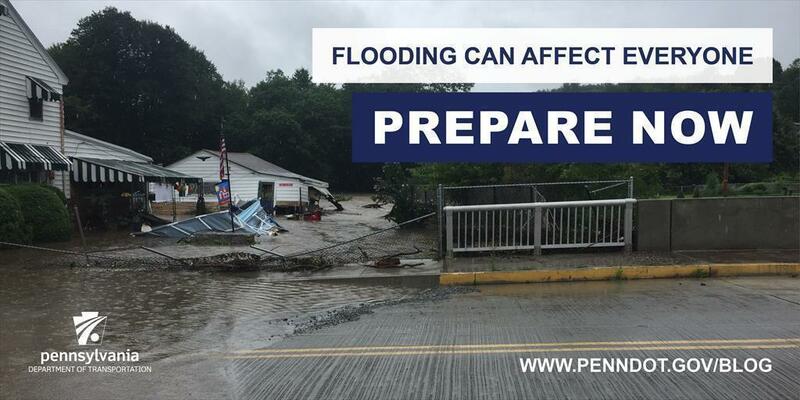 "We've seen unprecedented rainfall totals this year, and many times we've seen flooding in areas that haven't seen it before," said Pennsylvania Emergency Management Agency Director Rick Flinn in a recent press release. "It just underscores the need for each of us to make sure that we as individuals are as ready as we can be, and to help our neighbors and others in our community to be prepared as well." It's also important to note that standard homeowners' or renters' insurance policies don't cover damages resulting from a flood. Additionally, just 1 inch of water can cause up to $25,000 in damage to your home. "The good news is, because of changes in the federal government run National Flood Insurance Program (NFIP), private insurance is now selling both business and residential flood coverage," said Pennsylvania Insurance Commissioner Jessica Altman said. "In many cases, we have found comparable private insurance to be much more affordable than NFIP plans." The best way to avoid disaster is to be prepared. Talk to an insurance professional now, because many policies have a 30-day waiting period before they go into effect. PEMA encourages everyone to make an emergency plan for your home, vehicle, and workplace, as well as make an emergency supply kit. After an emergency is over, there can still be danger. When you plan what you will do before and during a disaster, be sure to include a plan for afterward as well. What you do next can save your life and the lives of others. When it specifically comes to flooding, FEMA suggests documenting your damage and then starting your clean up. The FloodSmart website also provides a page outlining how to start your flood claim with your insurance company. Finally, consumers across the country should always be on the lookout for flood-damaged cars being sold as undamaged new or used vehicles after a large storm with extensive flooding. The Pennsylvania Insurance Department offers a checklist of items that may indicate a vehicle is flood-damaged (JPG).